In America’s Antique City is where you’ll find a city that always has strawberries in mind! I am thrilled that you are interested in our strawberry paradise. In the Strawberry Capitol, we have so much for you to enjoy! Start your day at the Festival with a berry sweet treat and end the night listening to toe tapping music that will get you on your feet! 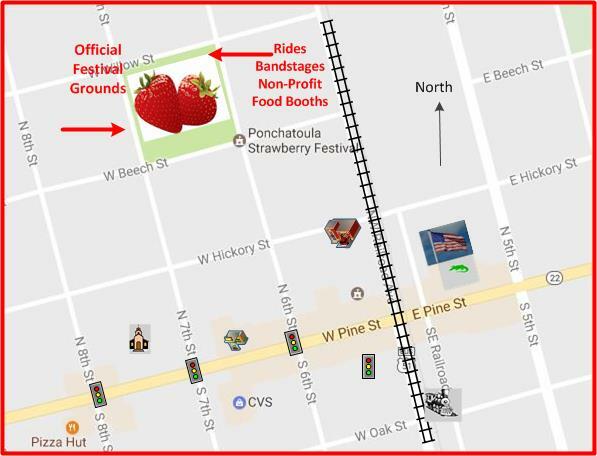 I hope to see you at the 48th Annual Ponchatoula Strawberry Festival on April 12-14, 2019, where you can join me in celebrating the Louisiana Strawberry. Being the 48th Louisiana Strawberry Queen is such an honor and blessing. My heart is humbled by the generosity of the farmers and the community in this amazing city. This small town with such big hearts has so much to offer. 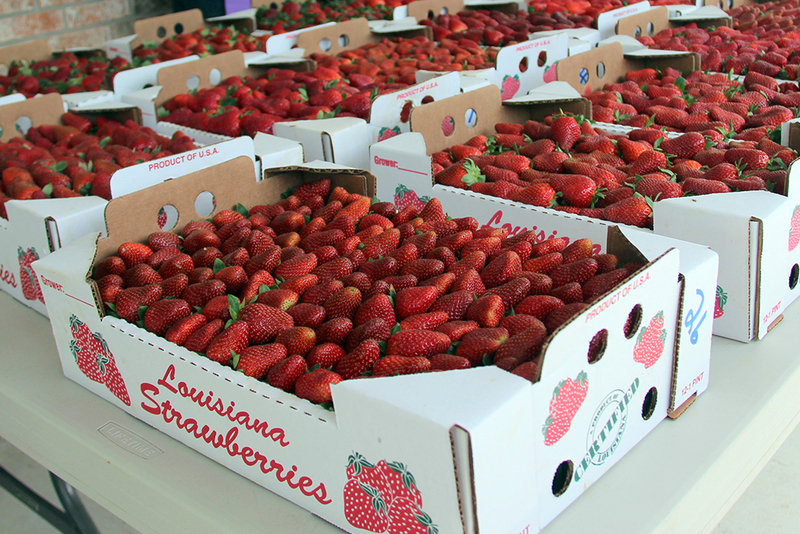 I am fortunate to travel all over the State of Louisiana to tell everyone that Ponchatoula not only produces the best strawberries, but is the best city, in the best parish (TANGIPAHOA), in the best state! I am humbled to be the walking billboard for this amazing festival and promote our Sweet Berries and the wonderful farmers that work tirelessly. Being Louisiana Strawberry Queen is my dream festival title and is more than I could ever ask for. 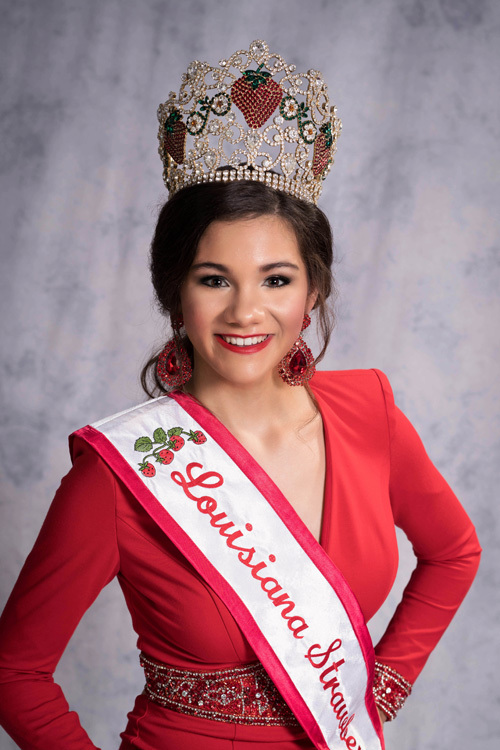 Please join me and follow my journey as your 48th Louisiana Strawberry Queen. Welcome, everyone, I am Heidi Carrier the 20-year-old daughter of Wendy & Herman Carrier from Amite, LA. I am a graduate of Loranger High School and currently attend Southeastern Louisiana University where I am majoring in Social Work. I attend Seekers Point Church of Hammond, LA. When I find free time, I like to spend it with my family and friends. I can't wait to meet you all throughout this year! Stay SWEET! 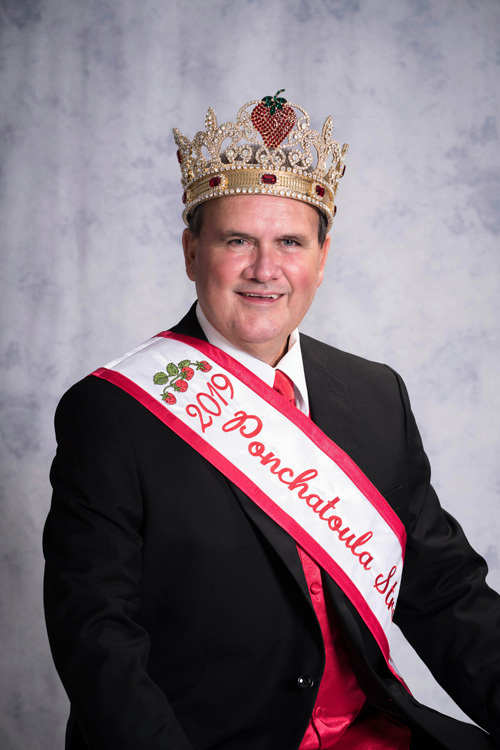 The 2019 Ponchatoula Strawberry Festival King Lester Leroy Settoon is a lifelong resident of Ponchatoula. Born in 1951, as the second of four children to Henry & Bertha Settoon, King Settoon attended Ponchatoula public schools and graduated from Ponchatoula High School in 1969. He worked in the grocery business as a butcher since 1966. In 1970, King Settoon joined the United States Army and served in the Infantry rising to the rank of Sergeant until his discharge in April 1972. In addition to serving his country, King Settoon has a heart for community service. He spent the last 44 years as an active Volunteer Fireman for the Ponchatoula Volunteer Fire Department and served as Assistant Chief in 1978-1979, 1992-1999, and 2013. King Settoon’s volunteerism stretched beyond being a volunteer firefighter and in 1975, he became the PVFD Voting Representative for the Ponchatoula Strawberry Festival Board. He later served as Parade Chairman from 1978-1981 and in 1983, he served as the Ponchatoula Strawberry Festival Chairman. King Settoon is no stranger to Strawberry Royalty as in 2011 he was honored to be the Parade Grand Marshal. 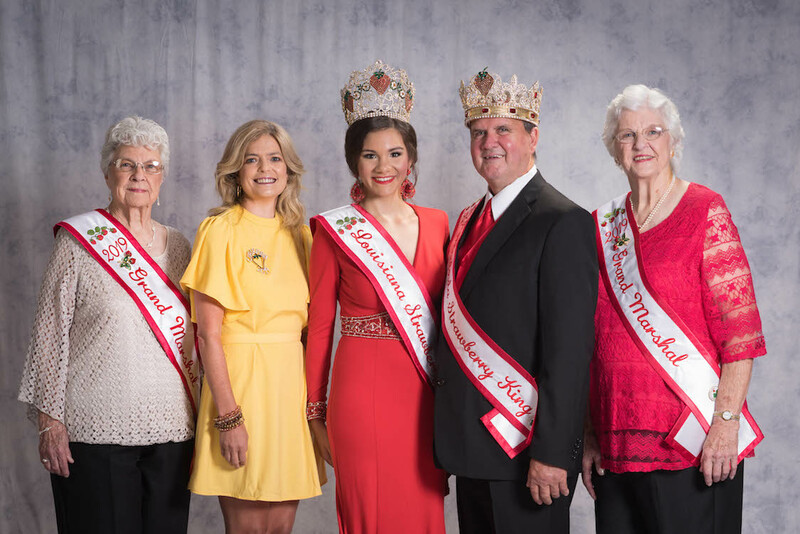 For the past 28 years, King Settoon’s love for the Strawberry Festival was expressed through the unfailing part he and his family play each year as participants in the Strawberry Festival Parade. Although, you may not recognize him unless you can see through the makeup and wig that transform King Settoon into the beloved Leona. Keeping in the volunteer spirit, Leona graced the stage for many years at the charitable Strawberry Mess Pageant hosted by the Ponchatoula Jaycees. In addition to his volunteer works with the PVFD and Strawberry Festival, King Settoon was active in Little League Baseball & Little Conference Football as well as High School Baseball and Football. King Settoon’s love for his brother firemen and our community is only surpassed by his love for his family. Above all else, King Settoon’s greatest pride and accomplishments exist in his five sons – Johnny, Joel, Jason, Josh, and Justin. His sons gave him amazing daughters-in-law, Laura and Melissa, and seven beautiful grandchildren – Brooke, Gabrielle, Laura Ann, Trace, Lily Jo, Emmerson, & Liam. King Settoon’s most recent addition is a great-granddaughter, Rowyn. Being crowned King is an enormous tribute to his selfless volunteerism and will be a year of memories he won’t soon forget. Ann was born in December of 1932 at her home in the Millville section of Ponchatoula to Pennington (Penny) & Edna Autin Thibodaux. She and her three siblings attended St. Joseph School where they were taught by the School Sisters of Notre Dame. She went on to Ponchatoula High School and had the honor of being named the 1st Miss PHS in 1949. She graduated from Ponchatoula High School in 1950. After high school she went on to nursing school at Mather School of Nursing at Baptist Hospital in New Orleans and became a Registered Nurse. She worked for several years as a nurse until she began her family. In 1956, she married her high school sweetheart, Leon Boudreaux. Together they had four children, Cindy Molinari, Denise Arnondin, Randy Boudreaux, and Angela Pevey. She also has 18 grandchildren and 27 great-grandchildren. She thoroughly enjoys spending time with her family, especially when they can travel together or play games together. In the early 80’s, she and her two sisters, Evelyn Hebert and Geraldine Wright, along with a friend, Virgie Sanders, were deemed the Betsy Rosses of Ponchatoula because they home-sewed a world record pole flying US flag measuring 30 x 50 feet to fly over our city. Ponchatoula still proudly boasts of our large American flag, however, the original that these ladies sewed has been retired to our Collinswood Museum. Another of Ann’s many hobbies include photography. She even served as the official Strawberry Festival photographer in 1977. More recently, in 2015, she became the founder of the Louisiana Northshore Quilt Trail. 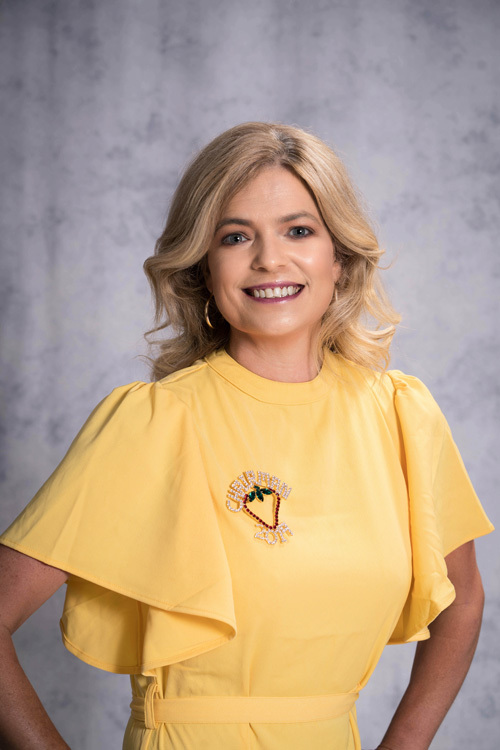 She sits on the board of directors for this organization, and she has personally designed and painted several of the quilt blocks that can been seen throughout our beautiful city. She is a member of St. Joseph Catholic Church since birth where she has served on several ministries and is still active in various ones including the Rosary Altar Society. 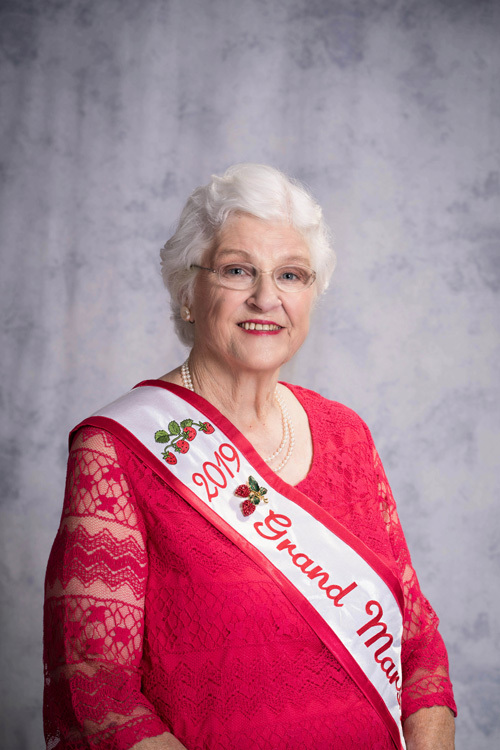 Ann is extremely honored to serve as the 2019 Strawberry Festival Grand Marshal; the best part is sharing the honor with her dear sister, Geraldine! Together they are anxious to promote the strawberry industry of this area! Geraldine was born March 4, 1938 at her home which was located where Le Fleur de Lis is today to Pennington (Penny) & Edna Autin Thibodaux. She attended St. Joseph School, Ponchatoula High School, and Southeastern Louisiana College. While attending Ponchatoula High School in 1955, she had the honor of being selected Miss PHS. In high school she met Bill Wright, who was her date on a double date with friends. While Bill was in the service, Geraldine finished Southeastern Louisiana College and began working in New Orleans as the 1st secretary to Dean Homer Hitt, head of the newly founded Louisiana State University in New Orleans. Soon after Bill returned home, they were married on September 5, 1959 at St. Joseph Church in Ponchatoula and lived in New Orleans for a while. They returned to Ponchatoula where they raised five children: William, Jr. “Billy”, Brett, David, Jeffrey, and Jeanie Wright Cutrer. Geraldine has 14 grandchildren and 3 great-grandchildren. Along with raising her children, Geraldine enjoyed playing bridge, took Fall vacations, and became interested in photography. Her love of Ponchatoula is demonstrated in many ways. In 1976, when the city celebrated our country’s bicentennial, she and her sister, Ann, submitted an article to the Historical Souvenir Book entitled, “The First Strawberries.” The article relates how Ponchatoula began its fame to the strawberry industry. She was also one of the four ladies who home-sewed the first large flag that flew in Ponchatoula on the newly installed flag pole in July 1985. Along with still playing bridge, she enjoys singing in the St. Joseph Church Choir, walking, and finding “treasures” at yard sales and thrift stores. 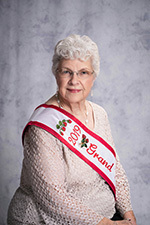 Geraldine is looking forward to serving as Grand Marshal along with her sister, Ann, at the 2019 Strawberry Festival. 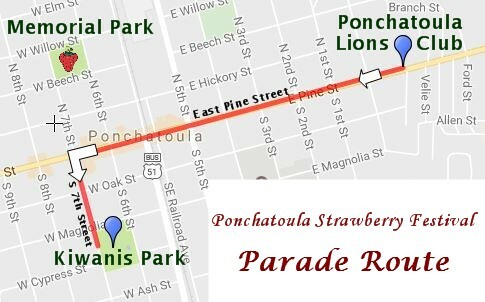 Welcome to the 48th Ponchatoula Strawberry Festival. My name is Stacey Miller. From Hammond but have resided in Ponchatoula the last 17 years. I have been married for 23 years to Lenny Miller Jr and have one son, Tristen who is 21. I have five nieces, Harleigh, Kamryn, Kailyn, Ali and Mya. I am currently employed at Benson Dermatology and have been to 11 years. As a child I didn’t attend the festival often. It wasn’t until a friend started a mobile DJ service that I became involved and attended the festival. We started riding a float in the Strawberry Festival parade with at that time, Party Toons DJ. It was amazing to see the amount of people that came out, like it was Mardi Gras. That was 23 years ago. Seeing what the festival meant to so many farmers, non-profit organizations and the town it was then I knew I wanted to be a bigger part. I continued to ride in the parade every year along with my family and my extended Settoon family until joining the board but still one of my favorite things. It was when dear friends lost their child and started a non profit organization that I became more involved. From 2004-2009 we worked all weekend for Skylar’s Grace to raise money for children of accidents. In 1999 another extended family lost a son, started a non-profit organization called The Charlie Landry Scholarship in 2000. As I did for Skylar’s Grace worked all festival weekend so the Landry’s could give college scholarships to PHS students. It was a very humbling experience. In both cases the weekend usually ended not focused on “how much money” raised but with sweat, tears, laughter, memories made and memories shared. After that I joined the Ponchatoula Jaycee’s where I served as secretary for 3 years and was elected to serve as a voting member on the Ponchatoula Strawberry Festival board. It was a behind the scenes eye opening experience. There I learned that while the festival was about strawberries and non-profit organizations it was much more about the strawberry farmers. I was elected as secretary for the SFB after serving as a voting member for 2 years. If you know any of these wonderful families you will see a little detail in my logo that represent each family that I consider my own! It was after those 2 years I decided to run for chairman. After those 2 years I had another extended family! We put in countless number of volunteer hours throughout the year so the strawberry farmers and non-profit organizations can benefit from the amount of people who visit the largest free festival in the state. This festival means a great deal to many people that see it more than a festival. With that said please come out April 12-14 2019, buy local strawberries and buy food from our local nonprofit organizations that put money back into our wonderful community. It’s not just a berry and a festival, it’s a family! !